Product prices and availability are accurate as of 2019-04-21 19:18:56 UTC and are subject to change. Any price and availability information displayed on http://www.amazon.com/ at the time of purchase will apply to the purchase of this product. 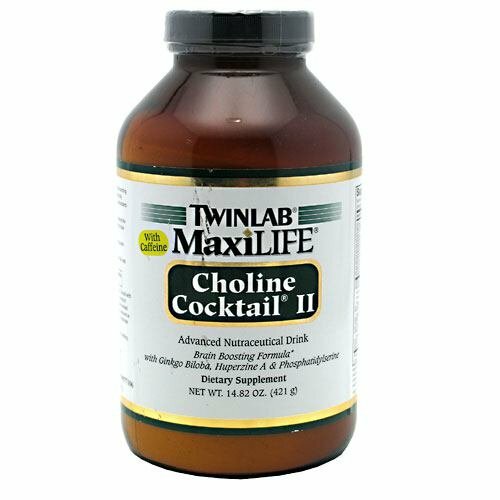 DOUBLE VALUE PACK of TwinLab - Maxilife Choline Cocktail Ii, 14.85 oz powder - Choline Cocktail is a synergistic combination of nutrients that is helpful for memory concentration, mental clarity and mental energy. Twinlab MaxiLife Choline Cocktail II, Advanced Nutraceutical Drink.MaxiLife Choline Cocktail II is a scientifically advanced nutraceutical drink and brain boosting formula containing a concentration of high potencies of Choline plus Citicoline, Phosphatidylserine, DMAE, Acetyl-L-Carnitine, Huperzine A, antioxidants and other nutritional co-factors. 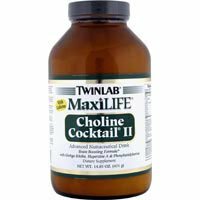 MaxiLife Choline Cocktail II is a quick-acting and easy to digest and utilize. It also contains the most important nutrients and potencies for optimum brain function without the need to take handfuls of tablets or capsules daily.